It may not sound like the hottest thing to hit perfume counters since Chanel No. 5, but to polyphemus moths,11-Hexadecadienyl acetate is the very aroma of love. Females release this compound from special glands. 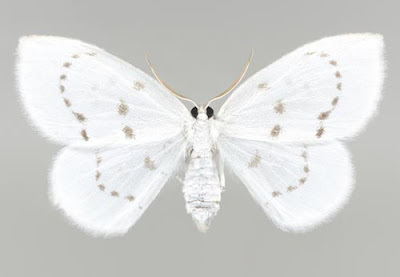 Males that encounter the drifting plume of scent change course immediately, flying upwind on four-to-six-inch (10-to-15 centimeter) wings to find the pheromone-emitting female and mate with her. 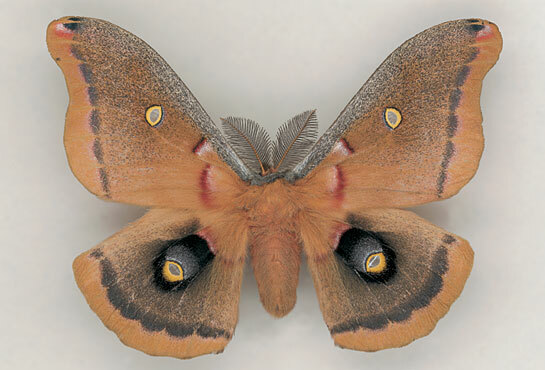 As in many moth species, Antheraea polyphemus males (specimen shown directly above) can detect the come-hither fragrance of a willing female from more than a mile away.